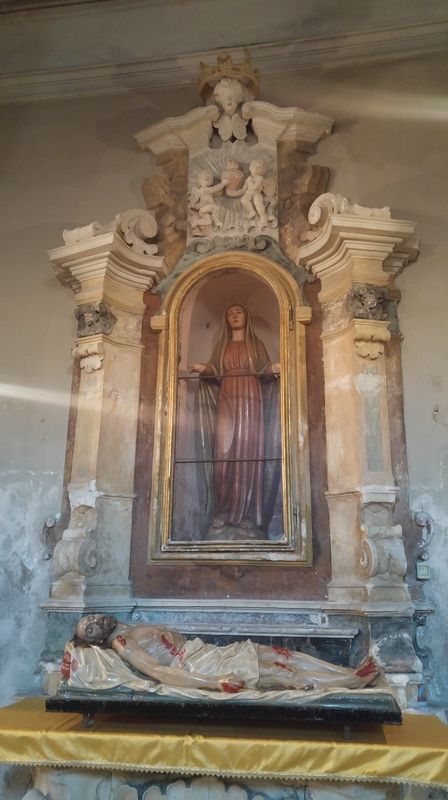 In the most elevated part of Cocullo, at the heart of its historic centre, is the Rione San Nicola, a district where one of the best preserved and most significant sections of the old town is located. Here, above the ancient walls, rises the 12th century medieval tower, a square-based structure built of squared blocks of stone. 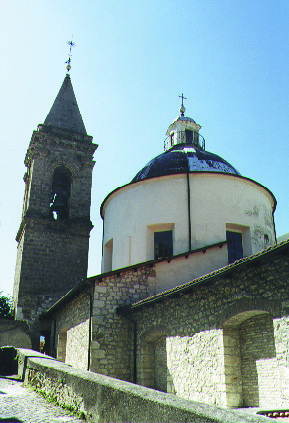 The tower was repurposed and used as a bell tower for the adjacent Church of San Nicola, which is mentioned in records dating from the 14th century. 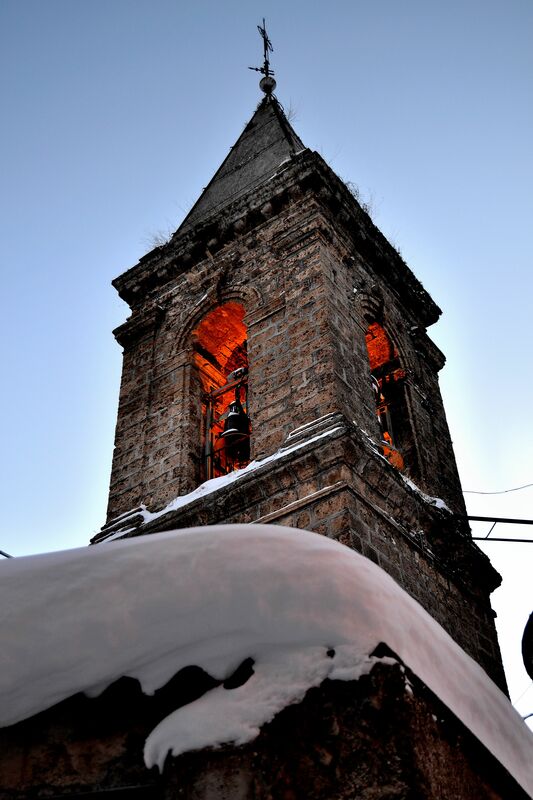 The church was severely damaged in the 1915 earthquake and was never rebuilt. Its façade shows evidence of various alterations carried out over the centuries. The site, now deconsecrated, contains only a few features of architectural interest. Some of the more striking features of Cocullo’s original civil architecture, which on the whole is rather well preserved, are the gates of the medieval walls that encircle the old town, which includes not only the Rione San Nicola, but the entire fortified nucleus. Along the narrow streets of this old district one can still admire vaulted passageways, elegant doorways, 15th century mullioned windows, medieval shopfronts, and the elegant homes of once-prominent families (e.g. the Marano and Squarcia houses). 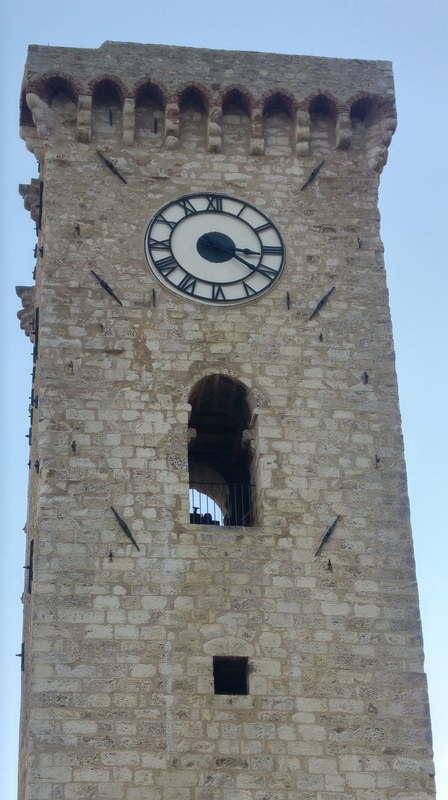 The gate closest to the medieval tower is Porta Ruggeri, named after a feudal family from Celano; it has a pointed arch and still has one of its internal hinges. 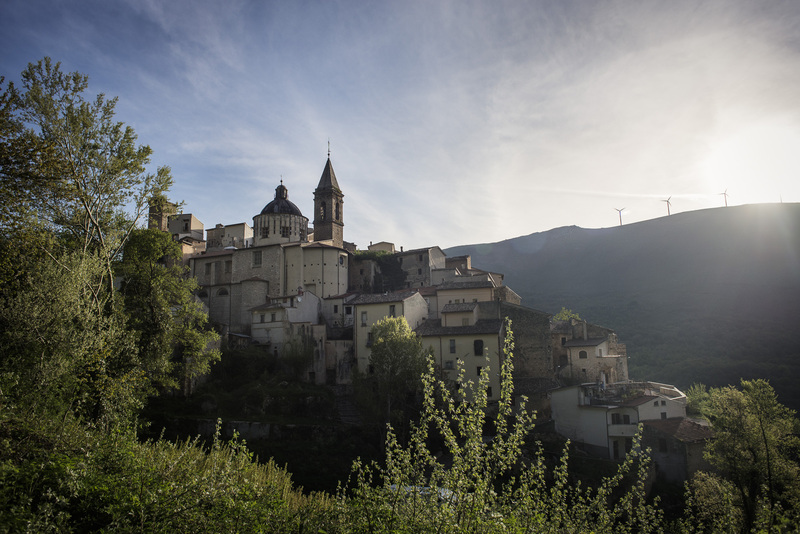 The others are Porta Renovata, which was recently restored and overlooks the valley south of town, and Porta di Manno, which is made of stone quoins and is built directly onto the bare rock of the promontory. One curious feature is a small coat of arms carved on a stone just above the rose window in the church façade. The coat of arms is said to have belonged to an infamous nobleman of legend, the duca Sarchia, who was apparently murdered to end the abhorred practice of the jus primae noctis, which he exercised widely over local brides. 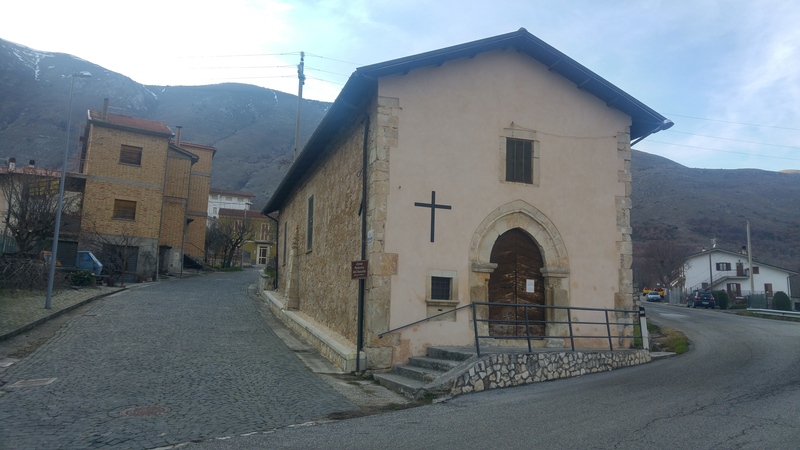 The Church of the Madonna delle Grazie, located on the square of the same name, dates from the 13th century, but has undergone repeated alterations over time. The façade is adorned by a rose window, an architrave with a sculpture of an agnus dei, and two 16th century statues placed in niches above the main entrance, on either side. 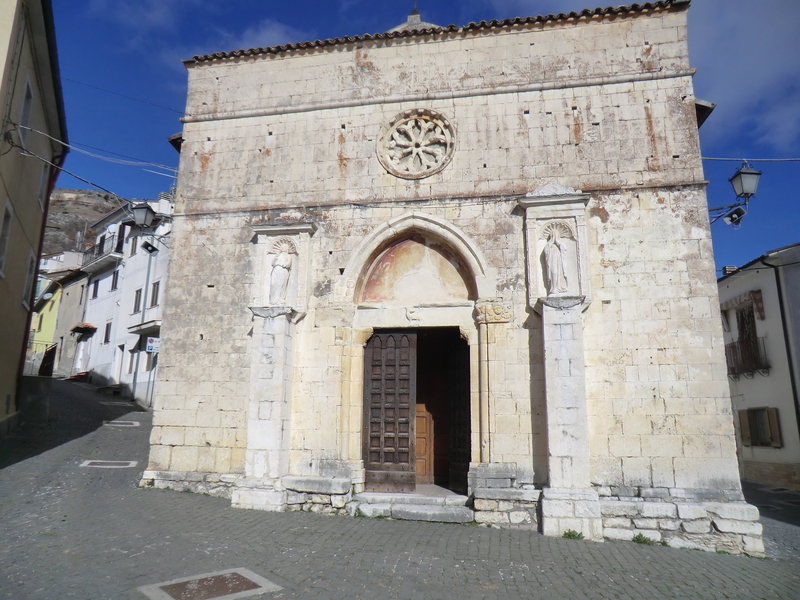 The main entrance consists of a simple rectangular portal surmounted by an ogive-shaped tympanum originally adorned by a fresco. 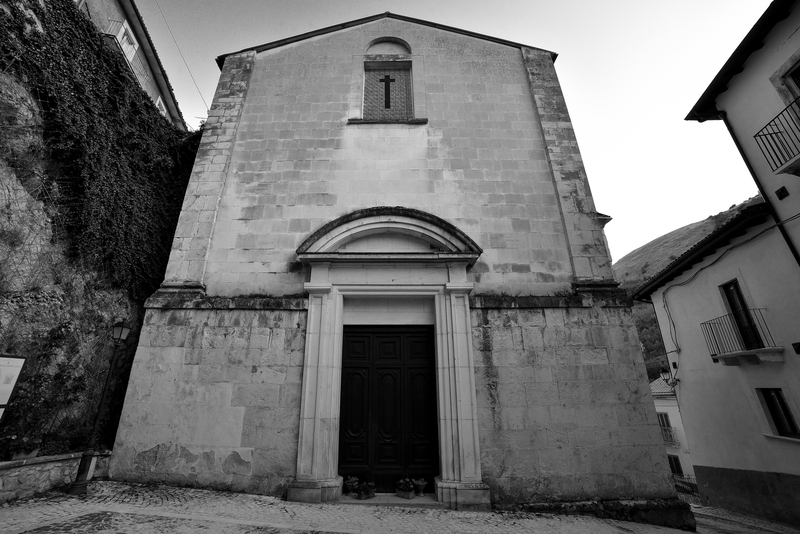 On the right lateral wall of the church is another rectangular entrance dating back to 1552. 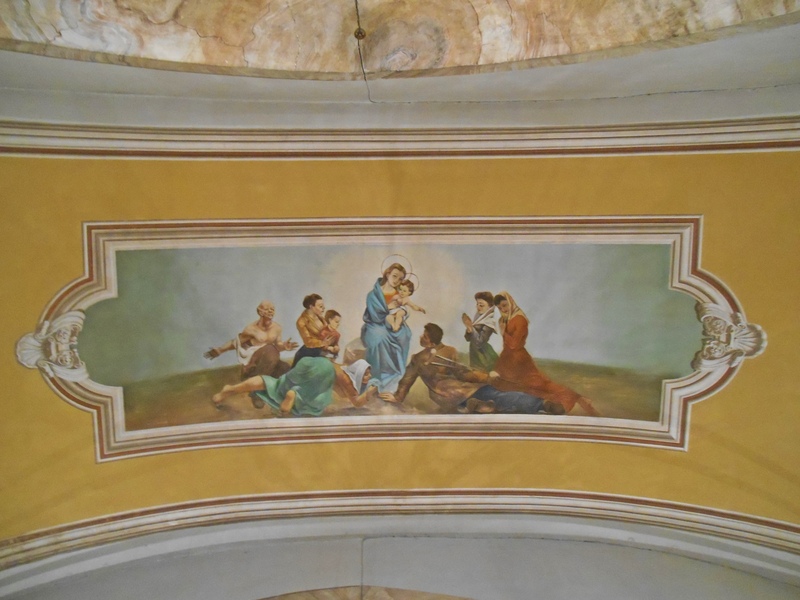 The single-nave interior, which was significantly altered in the 18th century, has some well-preserved frescoes from the 16th century depicting the crucifixion and deposition of Christ, as well as a triptych portraying Saint Anthony, Mary Magdalene and Saint Amico. 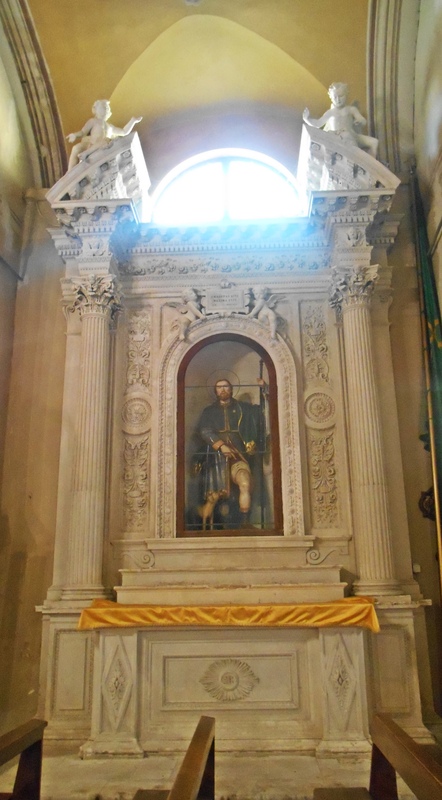 * The Church of San Domenico was seriously damaged during the 2009 earthquake, and had to be temporarily closed. 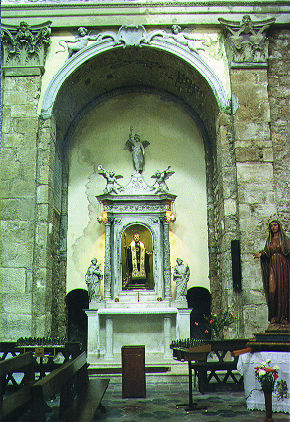 The procession now leaves from the Church of the Madonna delle Grazie, where the statue of the saint is currently housed. Along Via della Fonte, on the edge of town, is a medieval fountain featuring three gothic arches and partly preserved parapets. The fountain is constructed of stone, and despite the ravages of time and the removal of some of its building blocks, it remains one of the town’s best preserved landmarks. Above the arches, on the right, is a coat of arms carved on one of the stone blocks. 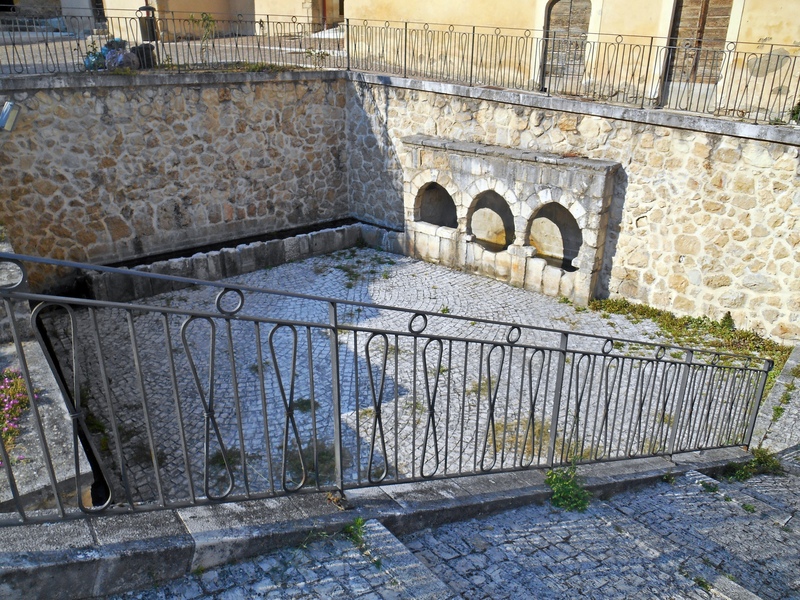 At the top of Via Canale, at the foot of Mount Curro, is Fonte Canale, a long watering trough of simple stone construction; one of the stones above the spout is decorated with a sculpted leaf design. Casale, a small agricultural community located just south of Cocullo and administered by the town, is located very near the site of the ancient city of Koukoulon, which was mentioned by some writers of antiquity and which, on the basis of sporadic archeological findings, seems to have occupied the same site as present-day Triana. 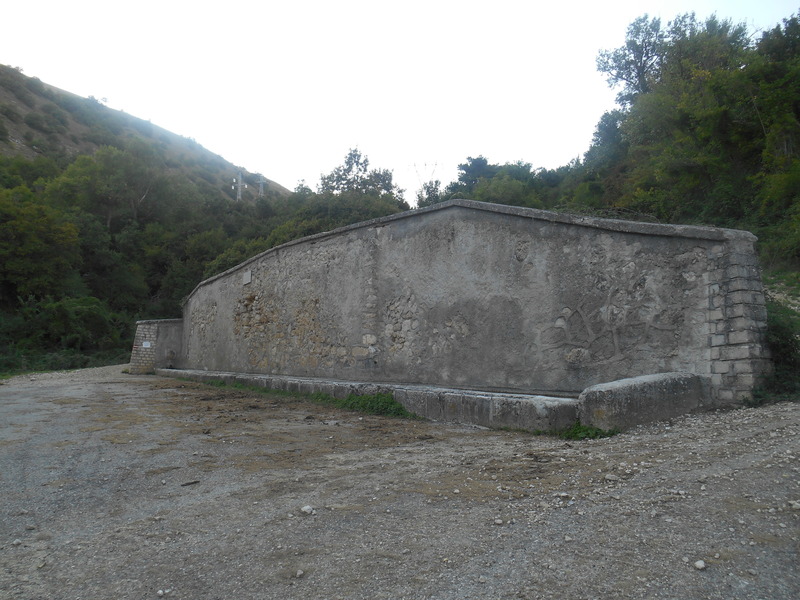 Pre-Roman tombs have been discovered just outside Casale, on the road to Anversa. 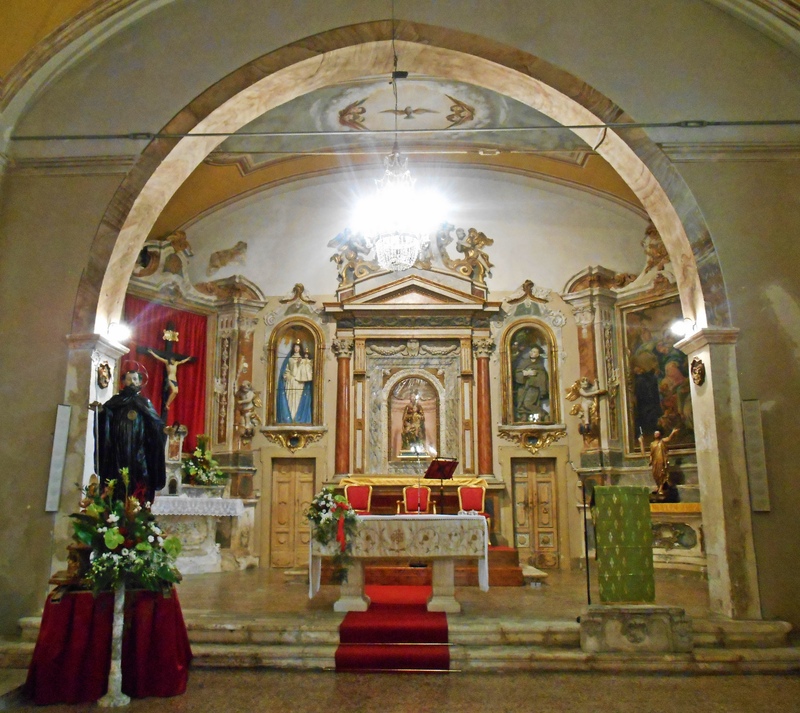 Here also is the tiny, charming church of Santa Maria in Campo (Saint Mary in the Field). 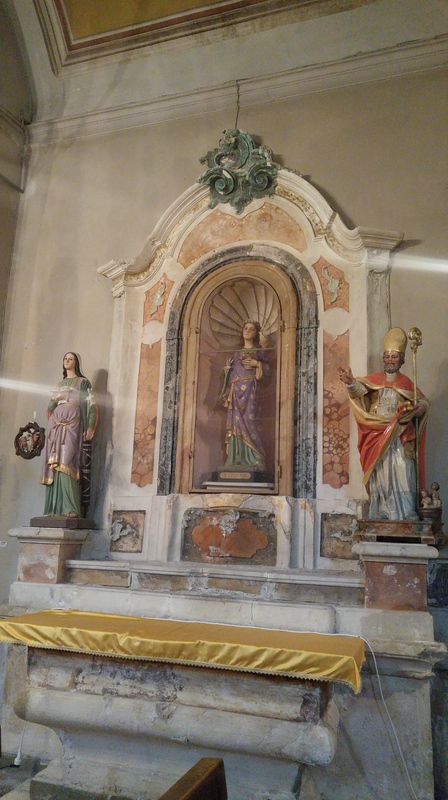 Questa voce è stata pubblicata in Chiese & Monumenti. Contrassegna il permalink.